Today we are showing off a render of the most well know Soviet artillery piece: the BM-13 "Katyusha". In mid 1938, the Jet Propulsion Research Institute of Leningrad was ordered to develop a mobile mount for the launching of multiple RS-132 aircraft rockets. The eventual winning design consisted of 16 launch rails attached to a simple frame that could be moved to aim at the target. The nickname "Katyusha" came from a popular wartime song of the same title. Initially shunned by the artillery branch because of their long reload time and low sustained fire rate, they were ordered into mass production following successful combat trials. While not as accurate as normal artillery, the launchers had several advantages. The noise and effect caused fear amongst the German's, who knew the weapon as "Stalin's Organ". They were also cheaper to make and required less complex machinery than howitzers. The BM-13, and its derivatives the smaller BM-8 and larger BM-30 were mounted on a wide variety of trucks and in a wide variety sizes. Initially, ZiS-5 and ZiS-6 trucks were favoured, but the BM-13 design was soon standardised onto the newly available Lend-Lease Studebaker US6. 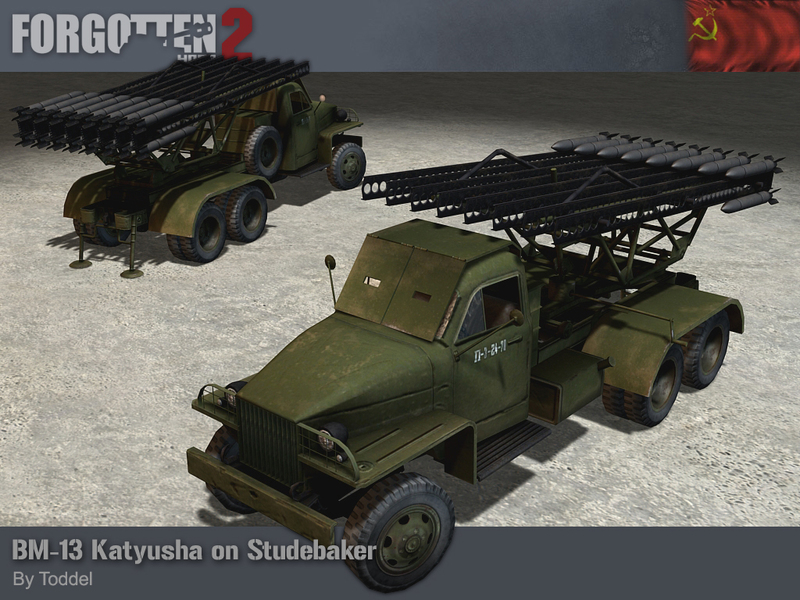 Our Katyusha and Studebaker were made by Toddel. Our winners for this week's screenshot competition is 15Roughbeak15. You can view the winning submission here. We are now accepting entries for the week of May 13th. If you think you have the best FH2 screenshot, post them here.